Are You A Reluctant Networker? 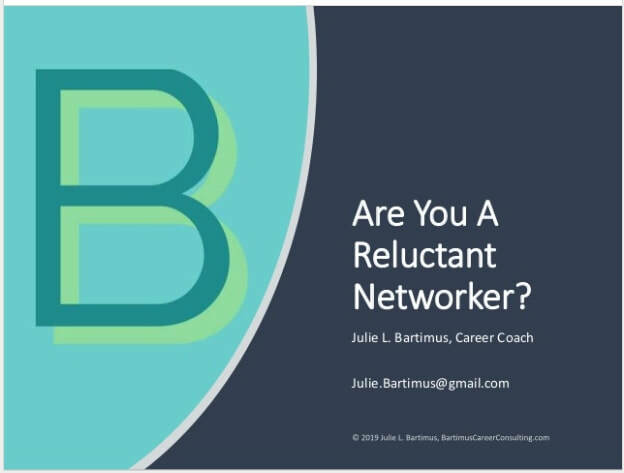 When you think about networking for your career, are you thinking "Yes!" or "Oh, no!"? 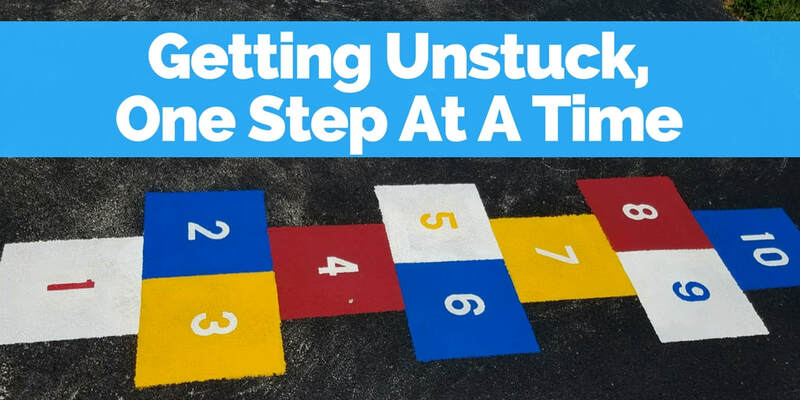 If you are reluctant to network, here are a few strategies to move you forward. First, understand why you should network? Second, understand why you are reluctant? Which of these reasons stops you from networking? Unsure how to/where to start? Songs can set the mood, uplift our spirits, and bring back memories. 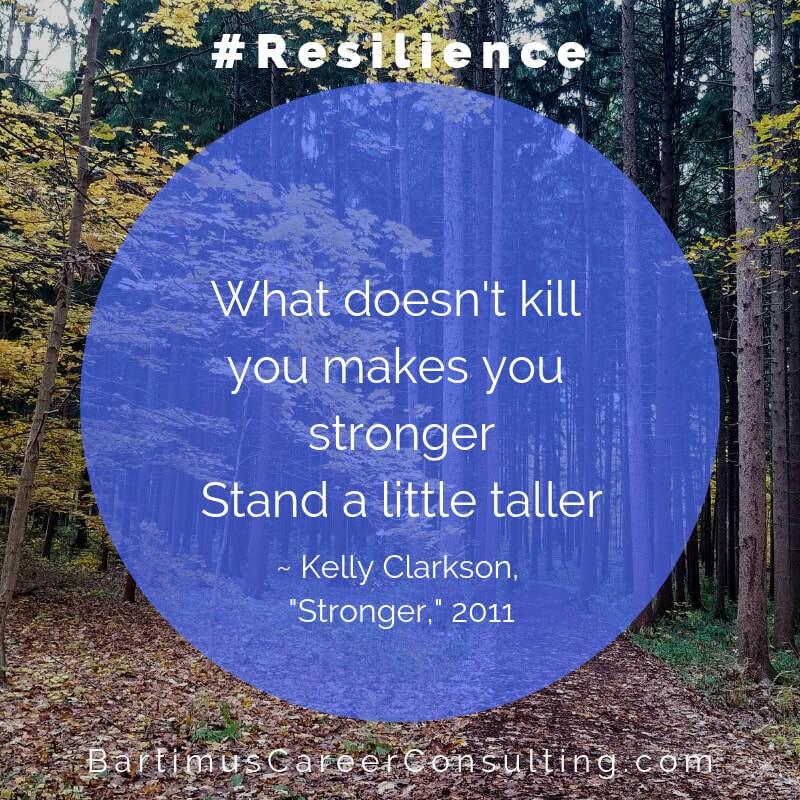 ​Which songs do you listen to remind you to be resilient? I had to close a door in my life for another one to open. So I, I could go through. 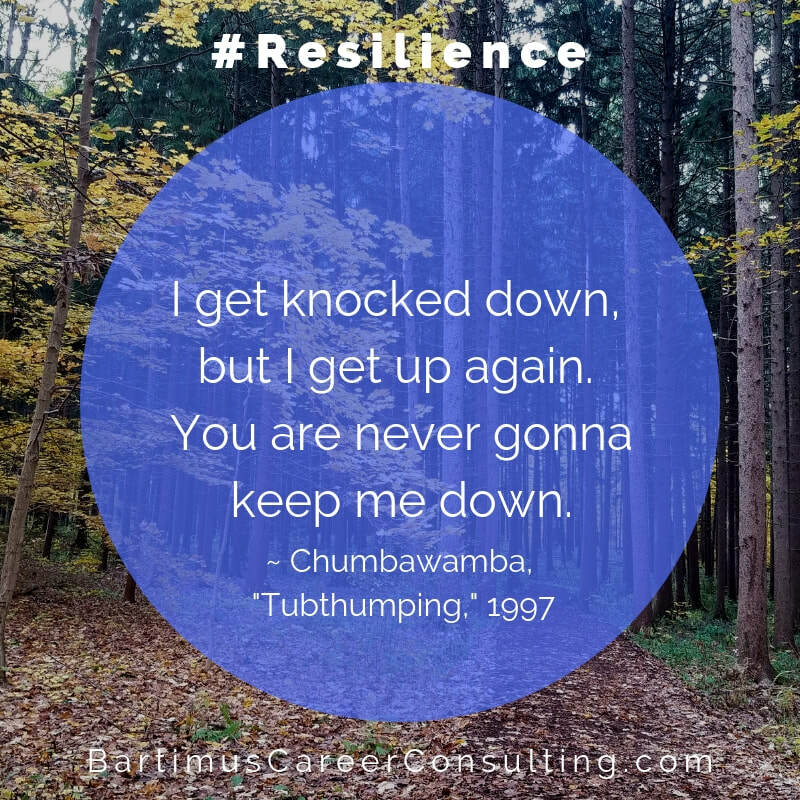 I get knocked down, but I get up again. You are never gonna keep me down. Some companies, like McKinsey & Company offer sample cases. If your targeted employer doesn't offer sample cases, check for actual client or project stories under the "About" or "Services" tabs. 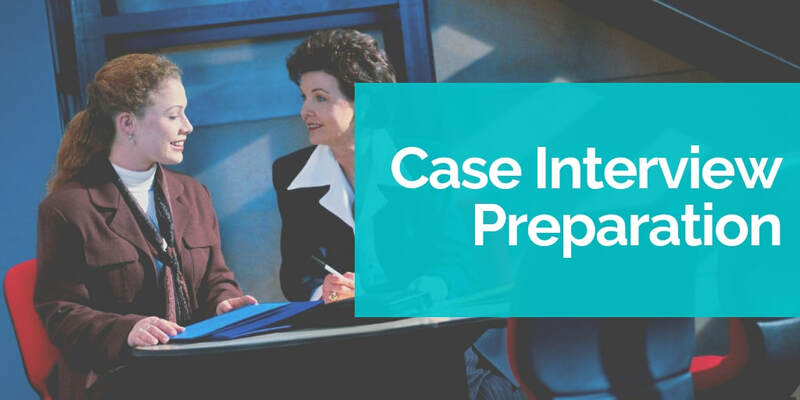 Other companies, like Bain & Company, also incorporate a case study as a written essay. ​You've grown up. 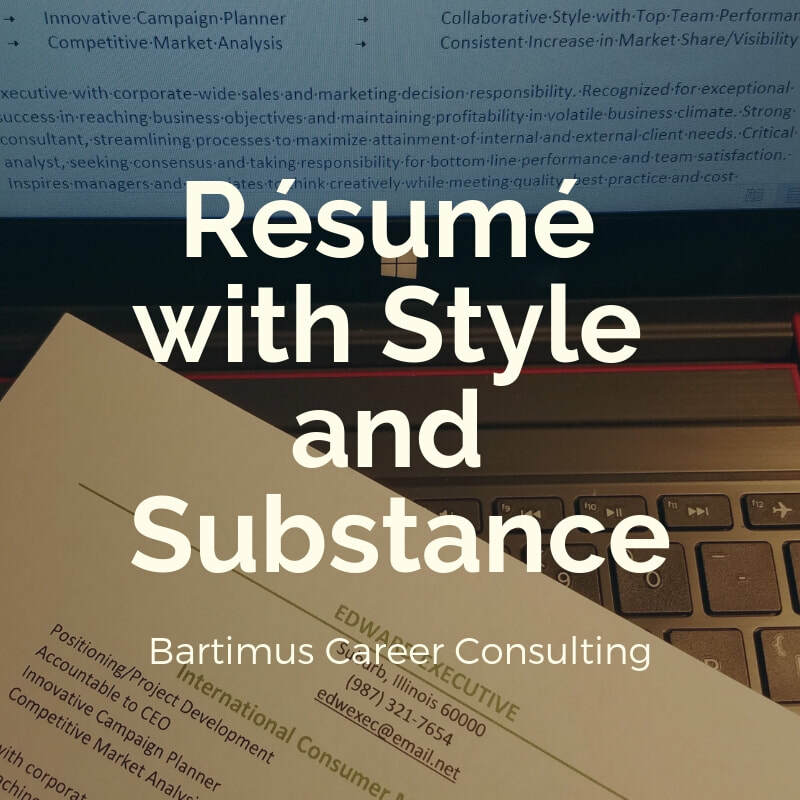 Has your résumé? Go ahead pull out your most recent copy. How does it look? How old is that version? When did you last add anything or edit the document? Even as someone who helps others with their résumé, I am always surprised by how long ago I updated mine. 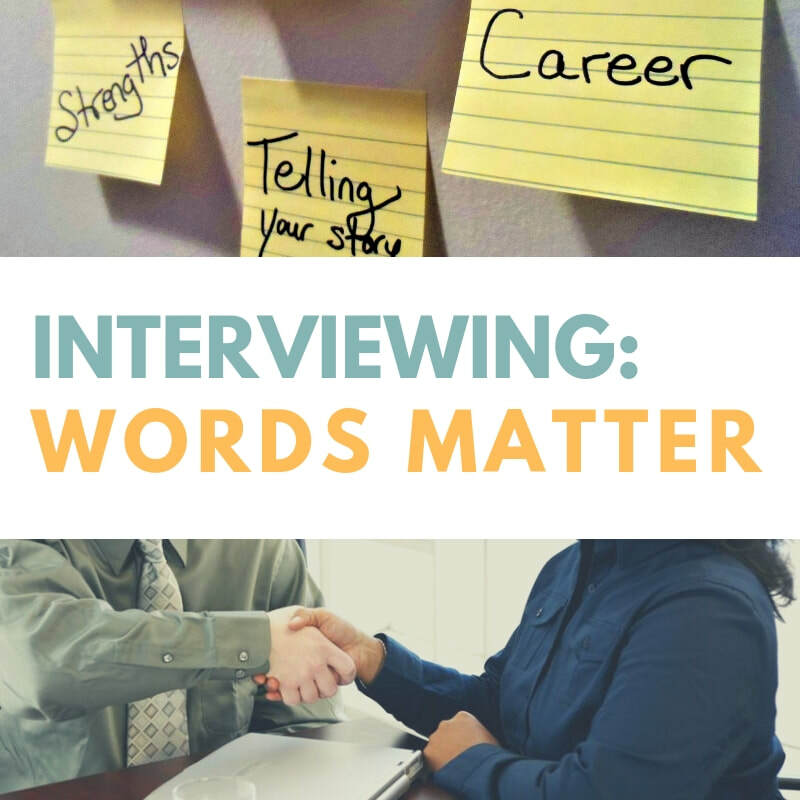 ​Words Matter throughout the interview process. Before your interview, prep for the questions the employer may ask. During the interview, focus on the job not the offer, balance "I" and "We," and avoid "I don't know." After the interview, send the thank you note. ​As one-year closes and another begins, online articles appear to showcase trends we've seen and what to watch. After reviewing a few articles, I've put together a short summary and tips for applying the information to your own career. The commonalities of the articles referenced at the end of the article are self-awareness, accountability, and continual learning. ​You’ve prepped. You’ve analyzed the job description and researched the company. You understand what competencies and experience they want you to have. You’ve prepped your stories to share as evidence of those competencies and experiences. But, you may still be missing something. A key ingredient. The real you. 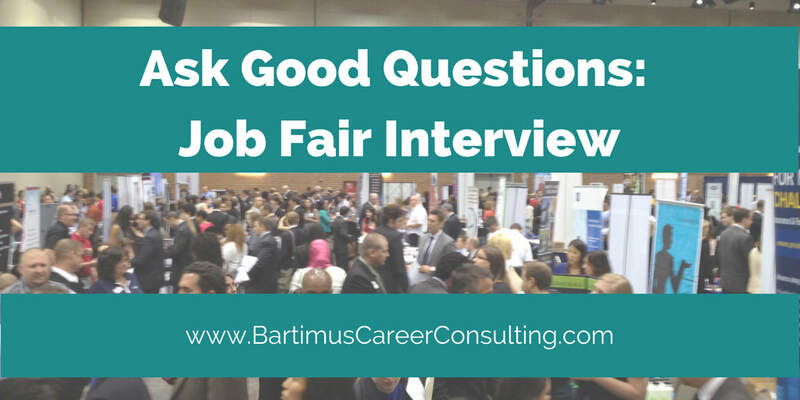 An often overlooked, yet high impact, part of any interview is the chance to ask questions. Prepare a list of possible questions and prioritize the top 2-3 that you want to ask. At the end of a regular interview, you may have 10 minutes at the end of the interview. In a job fair, time may be even more limited. Use your time wisely. Consider what you still need to know to assess whether the job is a good opportunity for you. It is important to celebrate your milestones and the progress you are making on your goals. Use the beginning of the year or anniversaries to pause and recognize growth. 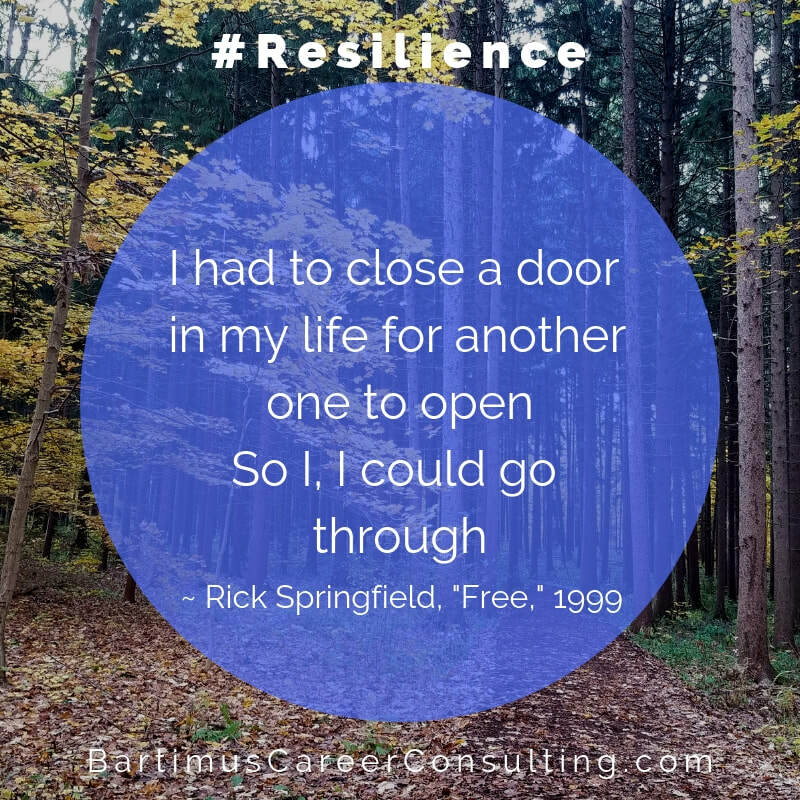 ​I'm excited to share the anniversary of when I opened my coaching business and blog. Stepping out on my own was a big move. I'm excited by my progress, and look forward to the coming year's development. I've enjoyed helping clients, meeting new people, and sharing tips and tools to your facilitate success. 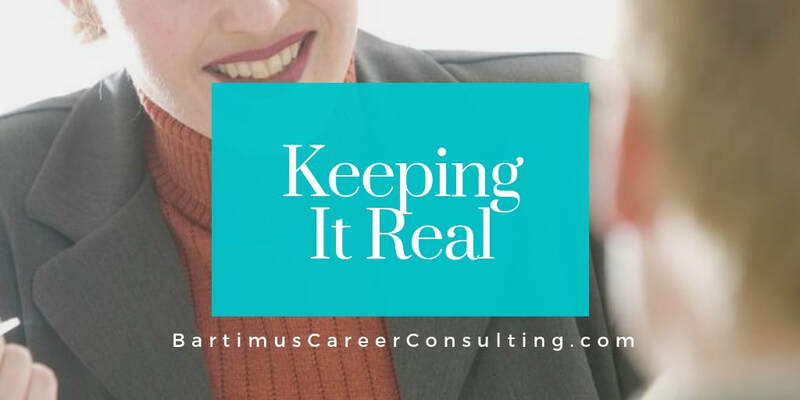 Based on the topics most often visited in my resource pages and blog posts, visitors like you are exploring career transitions and interested in telling their story clearly in the interview, resume, online, and while networking. If you wish to explore these or any other career questions further, send me a message through the contact form.